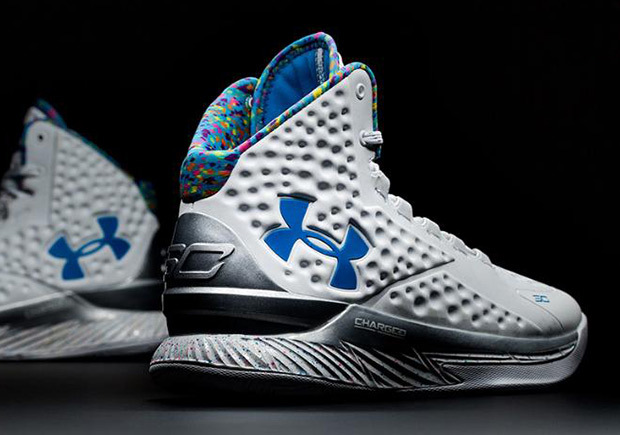 Steph celebrates his birthday in Mid-March, so these releases are a bit…behind. Under Armour originally created this sick PE for the future MVP, and as it turns out, the shoes were part of the “Championship Pack” that dropped not long ago. It looks like there’s another reason to celebrate because the “Splash Party”, which features a sprinkling of bright colors on the sock-liner, will release on its own as well. 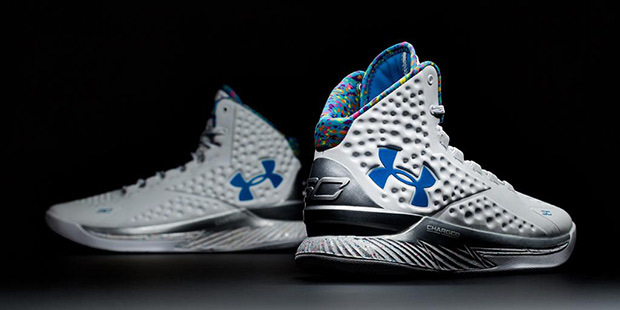 This is good news for the new wave of Curry One collectors so keep in mind that these will be available at select Under Armour retailers nationwide tomorrow (check out their Launch Locator).